A holiday traveler in New England is stopped for speeding in a small Maine town. He is put in jail overnight until he can see the judge in the morning. He is told the next afternoon that the judge is sick, so they’ll have to go to the judge’s house for him to hear the case. The man is taken to the judge’s house, sentence is passed, and the visitor is invited to dinner. Even the greats write stories that become dated. This story is dated. It may have surprised readers in the 1950s with its twist, but the twist, even though it was not telegraphed, came as no surprise to the modern reader who’s seen it many times before. Two cops stand by and watch as people gather by the thousands along beaches and walk into the ocean to their deaths. They wonder why. . . 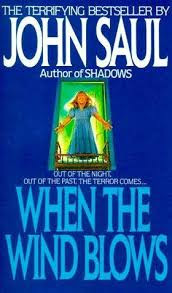 This was a short short story that was so cleverly written as to haunt the reader like a good novel. Superb stuff! A quixotic millionaire becomes obsessed with ribald jokes and decides to invest his time and fortune in learning where they come from. He finds out they all come from one source – Chicago. This story was mildly humorous and mildly entertaining. 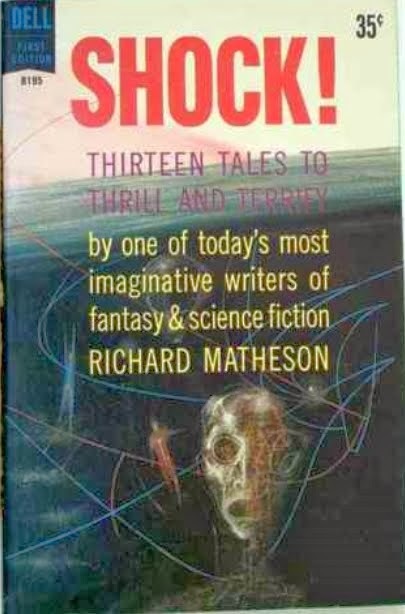 It’s certainly a change of pace from Matheson’s heavier themes, but not one of his better stories. An old woman, bedridden and helpless at night, continues to receive strange phone calls during the wee hours. At first, there is just silence on the line. Then attempts at communication, with the person saying, “hello.” The woman demands that the phone company check out the line. When they do, our little old lady is shocked at where the calls are coming from. Late that night, she receives another call and her mystery caller informs her that he’ll be right over. This is the stellar stuff of great black and white movies that used to entertain me as a child. This story is a little longer than some of Matheson’s material, but not a word is wasted. We know the voice is supernatural (after all, it’s a Matheson story), but Matheson’s ending was brilliantly conceived and written, letting us know what horror is to come, but not showing us. A frustrated writer leaves a film lamenting that life’s mundane moments could be glossed over or dismissed like they are in films. His entire life as a successful writer passes before him in a series of vignettes. All the while, he takes note of the time. His children are born, grow to adulthood with him having scant memories of them. His marriage is broken and fixed and his wife ages in leaps with him barely noticing. At the end, on his deathbed, he takes one final look at the clock and notices that it is 85 minutes later than it was the first time he looked at the clock so many years before when he made his fateful lament. Just 85 minutes of life – the perfect length for a movie. This story required careful reading because it was deliberately written in disjointed “montages.” (The title is deliberately misspelled). It is a familiar theme of someone getting what they wish for and then regretting the wish. But Matheson tells a deeply emotional tale that all can relate to when we ask ourselves, where has the time gone? A janitor wakes up one day and can speak French. As he goes about his job at the local college, he continues to acquire and catalog knowledge of various subjects. The psychology department becomes fascinated with him and his blue collar friends reject him. He wonders what it all means and why it is happening. A moment too late, it dawns on him. This is a clever story that I read when I was a child and loved. I never saw the twist coming. In reality, Matheson is just spreading words, page after page, not advancing the plot at all. Instead, he’s building anticipation and he does it nicely. A man in the “advertising” business dreads going into work. We learn that he is actually a compiler of statistics – holiday death statistics. This story was every bit as short as it should have been, but it still missed the mark. The twist just wasn’t that remarkable. The setting is post apocalyptic Missouri and four teenagers are en route to a club in St. Louis to see a remarkable night show act with a horrifying star. Three of them are enthusiastic about getting to the show, using drugs to get into the right state of mind. The fourth has serious reservations about seeing this grisly show. This was one of the darkest post-apocalyptic stories I’ve ever read. It brought to mind horrid images of the emaciated figures of the German concentration camps (though Matheson does not use that simile in his text). One of his finest efforts. 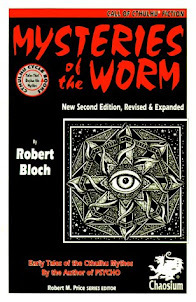 This story was made into an episode of the television show, Masters of Horror television series that aired on Showtime. The script was penned by Matheson’s son, Richard Christian Matheson, and was directed by horror legend, Tobe Hooper. Young Matheson expanded on ideas introduced by his father and revealed an imagination as dark and inspired as his father’s. A mild mannered tie salesman is driven slowly mad by life’s petty annoyances. The bus passenger who sits next to him daily and sniffs constantly, the nightly cries of the baby next door, the parties held by the neighbors upstairs, the cigarette smoke of restaurant patrons all add up to drive him toward madness. He starts to documents life’s little annoyances and grade them. He comes to the conclusion that the world is plotting against him. I get the impression that little misbehaviors on the part of others really annoys Mr. Matheson. This story is much like Mad House. The focus on irritants by the main characters drive them to madness with sad results. A executive decides to take a break from his hectic day and eat at a restaurant far away from his workplace to avoid chance encounters with acquaintances. There, a man approaches him and claims to be close friends with him and even knows all about his life. Distraught the man goes home to find that he might be somebody else – or somebody else might be him. This is very much a pulp story with a taut narrative and a quick twist. It was sort of vanilla, but well told. Los Angeles is alive and it’s taking over the world! Little by little, the city of Los Angeles – an organic being – spreads across the country. Citrus trees sprout in Nebraska. Residents of the Dakotas go insane and wander the plains in search of beaches. Massive cultural upheaval seizes the nation. Obviously, this is a very thinly veiled commentary on urban sprawl and the vanity of LA culture. But it is fun reading and Matheson even provides scholarly citations since the story is presented as a masters thesis. A new man moves into Joseph Alston’s neighborhood and promptly introduces himself to Alston as Theodore Gordon. At first, Gordon seems amicable enough. But soon, he starts to “redistribute” the belongings of his neighbors. When they complain, Gordon seizes control of the neighborhood through nefarious and prurient means. I have a passion for Matheson’s work. I have read about half of it and am looking forward to taking more soon. He is rivaled only by Bradbury in his ability to tell great genre short stories. 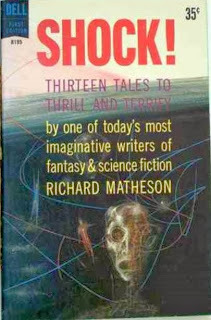 Matheson’s prose is a forerunner to that of writers such as Stephen King who tells great tales in a straightforward manner (usually). The Distributor is just another of Matheson’s wonderful stories. Certainly not his best, but I’ve never read or seen anything by Matheson I would call bad.